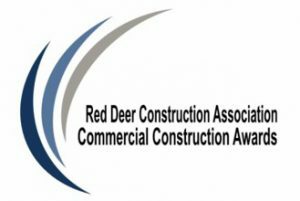 The Red Deer Construction Association acknowledges the outstanding contribution of our member companies within our industry. As part of our appreciation and recognition, we are excited to announce the annual Commercial Construction Awards for Central Alberta. This year’s awards consist of the Project of the Year (General Contractor), Sub-Contractor of the Year, Partnership Award (As chosen by the RDCA Marketing Committee and a new award for 2018 – The Contractor’s Choice Award. Each year’s awards will be based on the accomplishments during the past year. The Awards are presented in February, as part of our Building Central Alberta – Annual General Meeting. See below for nomination and guideline information. Deadline to submit is the middle January each year.